Wreath is on a 14" wire form and finished product is 19" round. 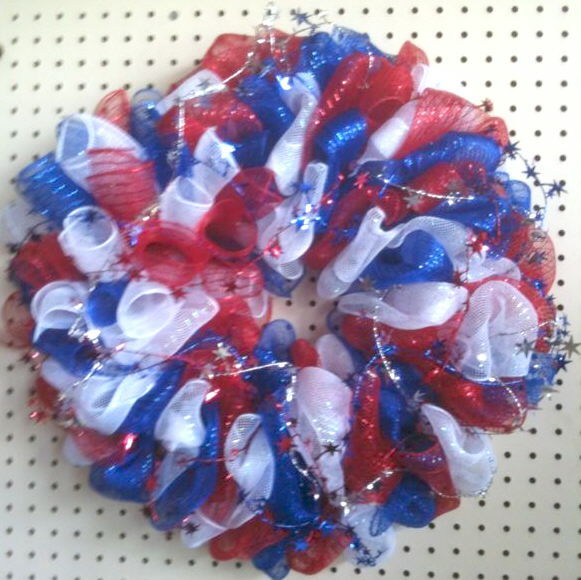 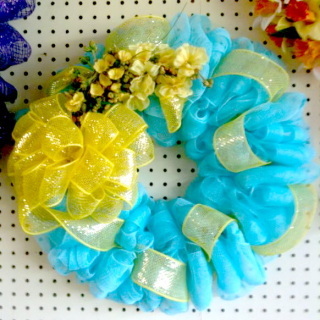 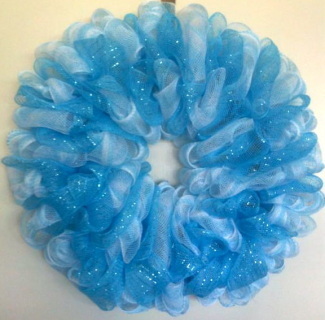 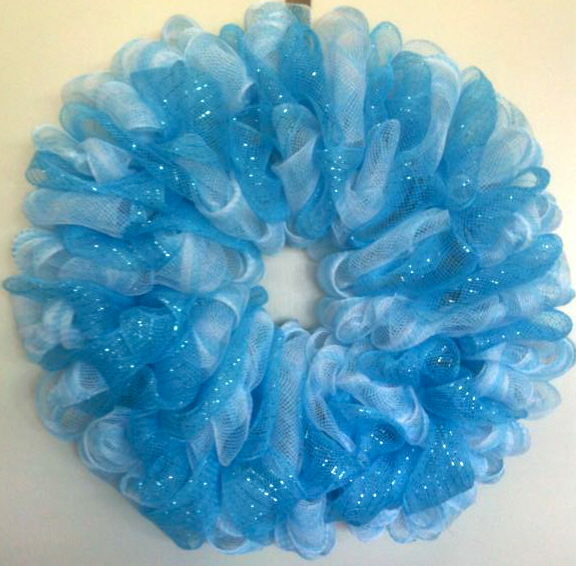 2 separate rolls of mesh were used to make this wreath. 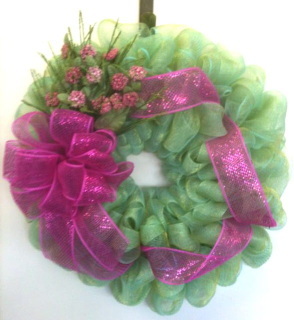 It is pretty as is or whatever is desired can be added to it.